The star of the show is ASAP Tent and Party Rental’s Ghost Acrylic Lectern Podium. 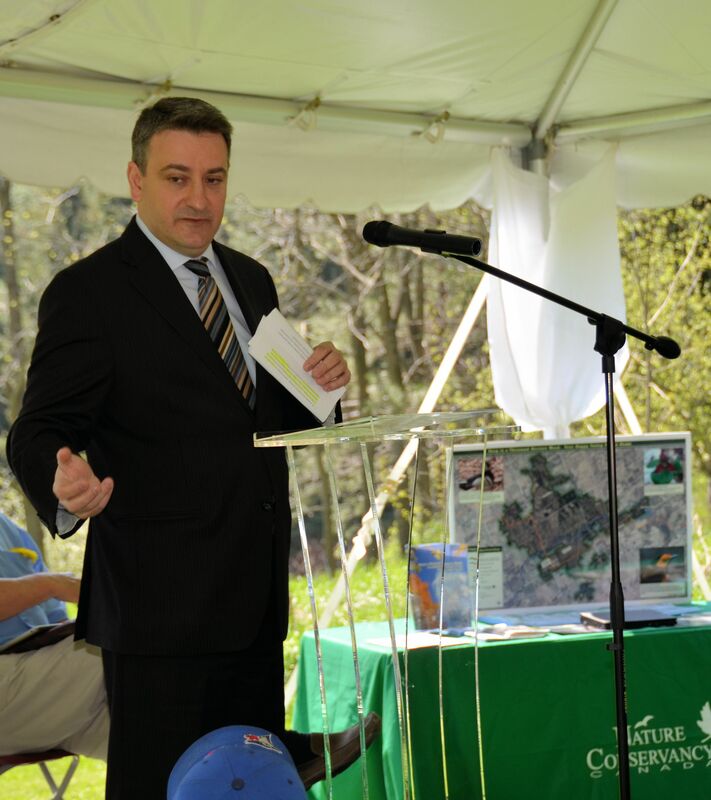 This photo was taken this morning with Paul Colandra at a press conference put on by the Nature Conservancy of Canada. Party Rentals, Tent Rentals and event planning expertise were supplied by ASAP Tent and Party Rentals. The clear acrylic “Ghost Lectern” was a perfect touch at Love Mountain. From some seats the podium was nearly invisible letting the beauty of the natural surroundings shine through. The staging was done with ASAP’s new Axxis stage deck and we supplied and set up the wireless microphone. The wireless microphone is perfect with the clear acrylic podium because there are no wires or other distractions. The system worked flawlessly despite a pair of dogs ripping out the power cables as the complete system can work from the internal batteries. This entry was posted in Party Rentals, Tent Rentals and tagged event planning, lectern, lecternette, party rentals, podium, stage deck rentals. Bookmark the permalink.